Who doesn't love books about books? And multiple story lines? And literary mysteries? 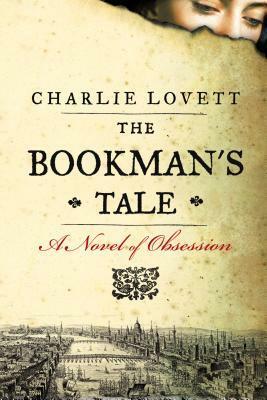 Peter Byerly is an antiquarian bookseller who has moved to England to recover from his wife's death. They had only been married ten years and couldn't have children, so it's a particularly sad death without much solace. In alternating chapters, we flash back to when Peter met Amanda in college. He worked in the school library, in the antiquarian room, which her grandmother had endowed (the whole library not just the room). Peter and Amanda truly brought out the best in each other and so now, without her, he is feeling particularly bereft and out of his element. A third set of alternating chapters flash back to Shakespeare's time and follow the path of a manuscript through many hands before one day, it crosses paths with Peter--or does it? Is this manuscript a fake? A fraud? Or is it the real deal? And who wants to keep it a secret? It's the first thing Peter's gotten excited about in a long time, particularly as it is linked to a small watercolor he finds in an antique book, which looks exactly like his deceased wife. And Peter will not stop to find out the truth behind the painting and the manuscript. This book was lovely because it wasn't a typical thriller with unrealistic heroes and insane secret societies trying to kill people (although sure, there is a bit of danger.) Peter doesn't turn into the swashbuckling hero of The DaVinci Code or the Indiana Jones movies--he stays the introverted and cautious man that he is, just with a little more gumption inspired by the picture of his wife. The story of the found manuscript is plausible and I appreciated that the author explains things like provenance for those who might not understand, and explains how a thing like this might be faked (I'm not saying it's a fake! Or that it isn't! Just that it could be.) I didn't even need the chapter headers to tell me when we were as it seemed very obvious to me and read fluidly. Sure, Peter and Amanda's relationship feels a little too-good-to-be-true, but a lot of good relationships look like that from the outside. For Anglophiles, bibliophiles, and those who like a good quiet but riveting historical mystery, this book hit the nail on the head. It took me about 100 pages to really get into it, but once I hit that mark, it was hard to put down. I bought this book at Bibliofeast, the National Reading Group Month festival held by WNBA-Charlotte, sold by Park Road Books.